Intralesional and intra-articular glucocorticosteroid injections have been used for over sixty years in musculoskeletal treatments and now around 500,000 such injections are believed to be performed in primary care in the UK alone each year (Deane 2014). The main advantages from a localised injection is to deposit a high concentration of medication at the desired treatment area without significant systemic absorption and thus markedly reducing the risk and severity of many of the more serious potential systemic side effects of oral steroid usage. Total dosage is also significantly reduced as a result of using this method of administration (Rogojan 2004, Nichols 2005), although the potential for systemic adverse effects such as endocrinal, metabolic, hematologic and vascular with intra-articular and localised injection of steroid should not be ignored (Kumar 1999, Lavelle 2007,Habib 2009, Brinks 2010) they will be significantly reduced. Delivery of the steroid by injection can also cause local side effect at area of administration. Local side effects include pain, haemorrhage, ulceration, atrophy, pigmentary changes, perilesional linear atrophy with hypopigmentation, calcification, secondary infection, granuloma formation, Charcot’s atrophy, avascular necrosis, Nicolau’s syndrome, tendinopathy, tendon rupture and allergic reaction (Kumar 1999, Canturk 2004, Papadopoulos 2009, Habib 2010, Brinks 2010). Many of these local adverse side effects are relatively rare such as infection thought to occur approximately 1/10,000 procedures (Rogojan 2004). However localised depigmentation and fat atrophy, which has been reported in case studies for over forty years, are thought to occur in around 1-8% of localised steroid injections making it one of the more common side effects ((Kumar 1999, Canturk 2004, Papadopoulos 2009, Habib 2010, Brinks 2010) and can be particularly problematic when injectioning superficial structures such as De Quervain’s (Jeyapalan 2009), trigger finger (Akhtar 2005) ganglion (Breidahl 1996), lateral epicondylitis (Kumar 1999) and structures around the foot such as plantarfasciitis (Tsai 2005, Yucel 2009, Tatli 2009, McNally 2010) and interdigital neuralgia (Hassouna 2007). Fat atrophy around the foot can be especially serious as this can lead to intractable complications such as persistent pain (Tatli 2009). Clinically, an additional complication and concern is the delayed response of symptoms, potentially 1 to 4 months post injection for fat atrophy and longevity which can be from 6 to 30 months in duration (Papadopoulos 2009) however fat atrophy persisting beyond 5 years has been reported (Shumaker 2005). Depigmentation which appears to be more common in patients with darker skin generally presents within 2 months of the injection and resolves in 6 to 12 months (Rogojan and Hetland 2004). A number of factors have been identified which may influence risk of depigmentation and fat atrophy. Less soluble corticosteroid agents such as triamcinolone acetonide or hexacetonide are also relatively potent (Hengge 2006) with longer half-life’s (Sinatra 2011) and identified in much of the literature on local adverse effects of corticosteroids are posing the highest level of risk (Kumar 1999, Canturk 2004, Papadopoulos 2009, Habib 2010, Brinks 2010). Arnold (1975) demonstrated with a study on effects on guinea- pigs that potency had correlation with potential to induce depigmentation. However, as incidence is far more common with superficial structures and because of the proposed mechanisms of action, it is often proposed that needle placement, depth and technique are also implicated. Most significant to the use of ultrasound guidance is the positioning and accuracy of the injection procedure. There certainly exists a strong body of evidence that ultrasound guidance significantly improves the accuracy of intra-articular injections (Rutten et al 2007, Chen 2006) and ability to aspirate far more effectively from smaller joints (Balint et al,2002) which suggests the needle tip is inside the synovial membrane of the joint. Ultrasound will therefore allow the practitioner to judge and control the depth of the needle before depositing the steroid. It should also be noted that there are some potential hazzards with the technique of ultrasound guidance which might even potentially raise the risk of local complications. First, some practitioners may use the technique of releasing a small bolus of the injection substance to allocate the needle tip, if this were performed too superficially it could lead to adverse effects. Also, the specific nature of ultrasound is such that needle visualisation requires the needle often to travel slightly longer distance to reach its target structure and may require a more horizontal route for optimal picture quality of the needle, this must therefore be taken into consideration when considering depth of structure and needle length, although modern beam steer and developments in software to aid visualisation has partly reduced this need in some circumstances. Indeed, Sites et al (2004) considered the learning curve when developing the skills to perform guided procedures, and identified that in-experience can result in loss of control of needle at some point in around 70% of procedures noted in novice anaesthetists performing peripheral nerve blocks. If we consider this a not dissimilar skill, this could also potentially lead to local adverse effects to soft tissue structures and may have some implications for competencies and training for performing ultrasound guided procedures. The are relatively few studies which have specifically considered use of ultrasound guidance to reduce the risk of local adverse effects. Most studies have focussed upon improvements purely of accuracy. Others have measured outcomes such as pain reduction, aspirate volume and functional improvements. A number of studies have shown increase length of treatment effect following guided injection such as Sibbitt et al 2011 evaluating the cost-effectiveness of using ultrasound guidance for osteoarthritis of the knee. Of the few studies there are considering adverse effects, often the patient numbers are very small which makes results inconclusive when capturing data of relatively rare event such as these. Sawaizumi et al 2007 showed 36% patients suffered local complications including depigmentation after injection for De Quervains tenosynovitis versus none when performed with ultrasound guidance, however the study only included 36 patients in all. Jeyapalan and Choudary 2009 had just 17 patients in their study. Another potential issue is the time to follow up which may be insufficient to detect adverse effects which may only present at 4 months. In Jeyapalan’s 2009 study average follow up time was 6.75 weeks. Numerous papers suggest the use of ultrasound guidance as a way to reduce risk especially for example with plantar fasciitis to ensure steroid is injected into deep compartment and away from heel pad protected by fascia (Tsai et al 2005, McNally 2010). There would certainly seem a role for ultrasound guidance to avoid injections directly into tendon to reduce risks of weakening or rupture (Chen 2009). Sethi 2005, and Henkus et al 2006 demonstrated how unguided injections were more likely to be placed in structures other than desired target structure. Brophy 1995 talks of eliminating the risk of fat pad atrophy by using ultrasound guidance for soft tissue injections around the heel. Papers on interdigital neuralgia also site ultrasound guidance as potential solution in attempts to reduce local complications (Hassounda 2007). Authors have pointed towards other technique based factors to reduce incidence such as applying pressure with gauze over injection site as needle is withdrawn (Papdopoulos 2009), being sure to empty syrine content or even flushing the syringe with saline before withdrawing to reduce chances of depositing steroid in subcutaneous tissues. Fat atrophy and depigmentation continue to be a relatively common and troublesome local adverse effect to steroid injection. Occasionally effects can be very long lasting. Around the fat pad of the foot, symptoms may be intractable leading to long term pain. 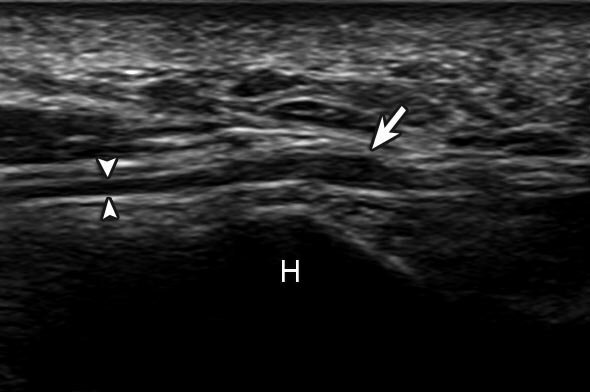 MSK Ultrasound as a means of improving accuracy of needle placement has advantages over other techniques such as fluoroscopy guidance in that it is relatively cheap and easily accessible and very well tolerated by patients, has virtually no contra-indications to usage and is not harmful. Accuracy may be particularly useful in reducing risk with superficial structures and small joints such as hands, feet and the acromioclavicular joint. Where a specific tissue compartment is required or in checking needle depth. Whilst it may seem logical to presume that use of ultrasound for needle and tissue visualisation and improved accuracy of needle placement should reduce risks of local complications there remains a lack of high quality studies in this area to draw conclusions and may be a area for future research to demonstrate cost effectiveness and benefits of ultrasound guidance. Of note, during training risks might even be increased from a novice clinician. Brinks et al (2010) in their systematic review article on adverse effects of extra-articular corticosteroid injections conclude that in general it is apparent that adverse events associated with corticosteroid injection can be minimised by ensuring appropriate procedures are followed by well trained and competent practitioners. Ultrasound guidance may well have a significant role in reducing risks to patients in the future of local steroid injections in the hands of dedicated and highly trained highly skilled staff with a commitment to clinical excellence and delivering highest quality treatment to their patients. Akhtar, Sohail, et al. “Management and referral for trigger finger/thumb.” Bmj 331.7507 (2005): 30-33. Arnold, J., P. Anthonioz, and J. P. Marchand. “Depigmenting action of corticosteroids.” Dermatology 151.5 (1975): 274-280. Balint, Peter V., et al. “Ultrasound guided versus conventional joint and soft tissue fluid aspiration in rheumatology practice: a pilot study.” The Journal of rheumatology 29.10 (2002): 2209-2213. Breidahl, William H., and R. S. Adler. “Ultrasound-guided injection of ganglia with coricosteroids.” Skeletal radiology 25.7 (1996): 635-638. Brinks, Aaltien, et al. “Adverse effects of extra-articular corticosteroid injections: a systematic review.” BMC musculoskeletal disorders 11.1 (2010): 206. Brophy, D. P., et al. “Technical report: ultrasound guidance for injection of soft tissue lesions around the heel in chronic inflammatory arthritis.” Clinical radiology 50.2 (1995): 120-122. Canturk, F., et al. “Cutaneous linear atrophy following intralesional corticosteroid injection in the treatment of tendonitis.” CUTIS-NEW YORK- 73.3 (2004): 197-198. Chen, Max JL, et al. “Ultrasound-guided shoulder injections in the treatment of subacromial bursitis.” American journal of physical medicine & rehabilitation 85.1 (2006): 31-35. Chen, Shen-Kai, et al. “Patellar tendon ruptures in weight lifters after local steroid injections.” Archives of orthopaedic and trauma surgery 129.3 (2009): 369-372. Dean, Benjamin John Floyd, et al. “The risks and benefits of glucocorticoid treatment for tendinopathy: A systematic review of the effects of local glucocorticoid on tendon.” Seminars in arthritis and rheumatism. Vol. 43. No. 4. WB Saunders, 2014. Habib, George S. “Systemic effects of intra-articular corticosteroids.” Clinical rheumatology 28.7 (2009): 749-756. Habib, George S., Walid Saliba, and Munir Nashashibi. “Local effects of intra-articular corticosteroids.” Clinical rheumatology 29.4 (2010): 347-356. Hassouna, Hazem, et al. “Ultrasound guided steroid injection in the treatment of interdigital neuralgia.” Acta orthopaedica belgica 73.2 (2007): 224. Hengge, Ulrich R., et al. “Adverse effects of topical glucocorticosteroids.” Journal of the American Academy of Dermatology 54.1 (2006): 1-15. Henkus, Hans-Erik, et al. “The accuracy of subacromial injections: a prospective randomized magnetic resonance imaging study.” Arthroscopy: The Journal of Arthroscopic & Related Surgery 22.3 (2006): 277-282. Jeyapalan, Kanagaratnam, and Surabhi Choudhary. “Ultrasound-guided injection of triamcinolone and bupivacaine in the management of de Quervain′ s disease.” Skeletal radiology 38.11 (2009): 1099-1103. Kumar, Naresh, and Raymond J. Newman. “Complications of intra-and peri-articular steroid injections.” British journal of general practice 49.443 (1999): 465-466. Lavelle, William, Elizabeth Demers Lavelle, and Lori Lavelle. “Intra-articular injections.” Anesthesiology clinics 25.4 (2007): 853-862. McNally, Eugene G., and Shilpa Shetty. “Plantar fascia: imaging diagnosis and guided treatment.” Seminars in musculoskeletal radiology. Vol. 14. No. 3. 2010. Nichols, Andrew W. “Complications associated with the use of corticosteroids in the treatment of athletic injuries.” Clinical Journal of Sport Medicine 15.5 (2005): E370. Papadopoulos, Patricia J., and Jess D. Edison. “Soft tissue atrophy after corticosteroid injection.” Cleveland Clinic journal of medicine 76.6 (2009): 373-374. Rockwell, W. Bradford, I. Kelman Cohen, and H. Paul Ehrlich. “Keloids and hypertrophic scars: a comprehensive review.” Plastic and reconstructive surgery 84.5 (1989): 827-837. Rogojan, Cornelia, and Merete Lund Hetland. “Depigmentation–a rare side effect to intra-articular glucocorticoid treatment.” Clinical rheumatology 23.4 (2004): 373-375. Rutten, Matthieu JCM, et al. “Injection of the subacromial-subdeltoid bursa: blind or ultrasound-guided?.” Acta orthopaedica 78.2 (2007): 254-257. Shumaker, Peter R., Jaggi Rao, and Mitchel P. Goldman. “Treatment of local, persistent cutaneous atrophy following corticosteroid injection with normal saline infiltration.” Dermatologic surgery 31.10 (2005): 1340-1343. Sibbitt Jr, Wilmer L., et al. “A randomized controlled trial evaluating the cost-effectiveness of sonographic guidance for intra-articular injection of the osteoarthritic knee.” JCR: Journal of Clinical Rheumatology 17.8 (2011): 409-415. Sinatra R S, Jahr J S and Watkins-Pitchford J M (2011) The Essence of Analgesia and analgesics. Cambridge University Press. Tang, Yu-Wen. “Intra-and postoperative steroid injections for keloids and hypertrophic scars.” British journal of plastic surgery 45.5 (1992): 371-373. Tatli, Yusuf Ziya, and Sameer Kapasi. “The real risks of steroid injection for plantar fasciitis, with a review of conservative therapies.” Current reviews in musculoskeletal medicine 2.1 (2009): 3-9. Yucel, Istemi, et al. 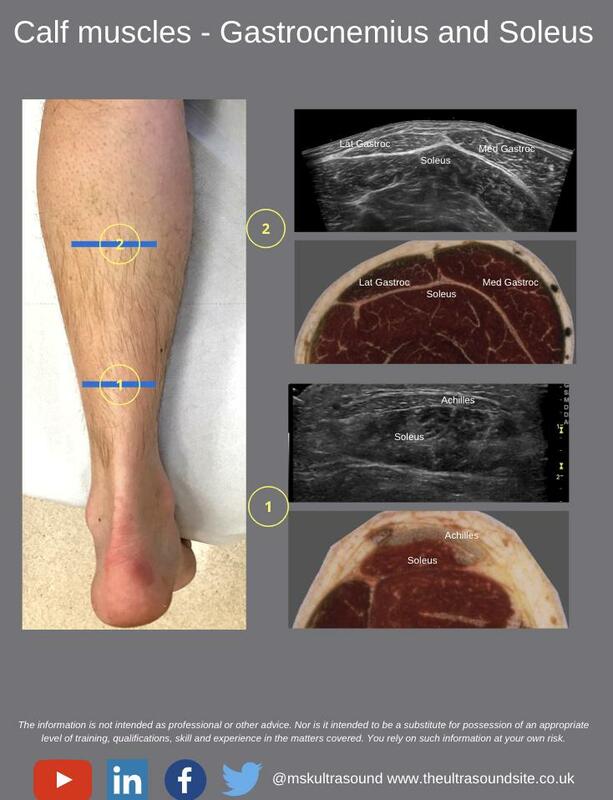 “Comparison of ultrasound-, palpation-, and scintigraphy-guided steroid injections in the treatment of plantar fasciitis.” Archives of orthopaedic and trauma surgery 129.5 (2009): 695-701.